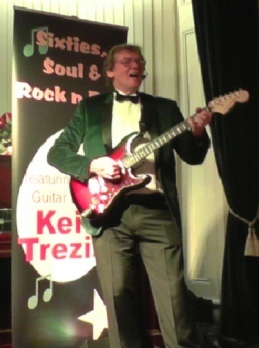 Based in Warwickshire, Keith Trezise has been an entertainer for all of his adult life as well as being an accomplished writer and has had several plays published. The eighties was the time when Keith started to nurture his song writing talents, which resulted in his (home-made) CD ‘Perfect Harmony – Almost!’, which features all self written music. Keith switched between entertaining and writing during the nineties, writing many short stories, several plays and a full length comedy sci-fi novel. He found minor success with his writing career by having four plays published and winning a national play writing competition.